Geographical location. Population. The Region is situated beyond the Polar Circle occupying the whole Kola Peninsula and the small part of Northern Karelia. The closest neighbours are Norway and Finland on the West and Karelia on the South. The area - 144.936 sq. km. The Peninsula is washed by waters of the White Sea on the South and by the Barents Sea on the North. There are more than 130 th. of lakes and rivers on the Kola Peninsula. The biggest lake is Imandra and the longest river is Ponoy Alas. Natural resources. On the territory of Murmansk Oblast about 60 large deposits of different minerals were opened. Here, there is about one fourth of all chemical elements of our planet. Minerals: ores of phosphorus, copper, nickel, zirconium and other rare metals, and bauxite, mica, raw materials for building and semiprecious stones. Abundant supplies of an oil and a gas were opened on the shelf of Barents Sea. Transport. Favourable geographical location of Murmansk Oblast made for development transport infrastructure of the region. Total extent of railway tracks is 1012.7 km; motor roads - 4159 km. Density of motor roads (hard covered) is 17 km by 1000 sq. km. The Murmansk Sea Trade Port is a largest non-freezing Russian port within the Arctic Circle. It is the main transit centre of sea shippings in northern regions of Russia and other counties. The port's productives capacity is 12 mln tones goods/year. JSC "Murmansk Sea Lines" realizes sea shipping of goods and passengers. It owns unique atomic ice-breakers. Administrative and territorial division. Administration. Murmansk Oblast includes 16 towns, 5 districts, 16 settlements of urban type and 17 rural administrations. Legislative authority in Murmansk Oblast presents Duma. Head of the Administration of Murmansk Oblast is the governor, who coordinates activities of committees of Administration. The structure of executive power of the Oblast consists of 15 committees and 8 departments. Economy. In 1998, GRP for Murmansk Oblast was R 23846.6 mln or USD 1152.0 mln. It is 1% by GRP of the Russian Federation and 9.7% by GRP of the North-West Russia. By the end of 1998 GRP per capita was R 23647.9 or USD 1142.4. 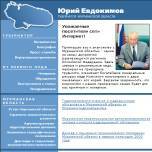 Murmansk Oblast economy has raw orientation. Industry. Mining complex is at the heart of Murmansk Oblast industry. It includes enterprises of mining and chemical industry, ferrous and non-ferrous metallurgy and construction materials industry. Key industries are non-ferrous metallurgy (30.9%), power engineering (20.9%), and food industry, including fishing (19.8%) and chemical industry (11.9%). About two thirds of the industrial output focuses in Murmansk, Monchegorsk, Kirovsk and Pechengskom distict. In 1999 total industrial output was R 35247 mln or 108% increase over 1998. Some decrease of industrial output was only in a non-ferrous metallurgy and construction materials industry. Agriculture. Northern climate makes it difficult to develop an agrarian sector in Murmansk Oblast. Agricultural lands is only 0.4% of all territory of Murmansk Oblast. Main branches of the live-stock husbandry are a cattle, pig and poultry keeping. Investment activity. Volume of total investments into the economy of Murmansk Oblast in 1999 was R 5514 mln (89% growth over 1998). 65.3% of all investments goes into industry sector (65.3%), including power engineering, metallurgical complex and food industry. Foreign investments in Murmansk Oblast in 1999 amounted to USD 2.8 mln (or only 76% from level 1998). Most of investments are credits. The main share of foreign investments goes into industry (50.5% of total foreign investments) and trade and public catering (42.8%). Countries-investors are Norway (71% of total foreign investments), Great Britain (15%) and Sweden (10%). Priorities for investments are objects included in the federal programs (for instance, construction of the Kolsk Atomic power station-2). reconstruction and development of JSC "Kandalakshskiy alymineviy zavod".